If you're happy and you know it, buy this bag. 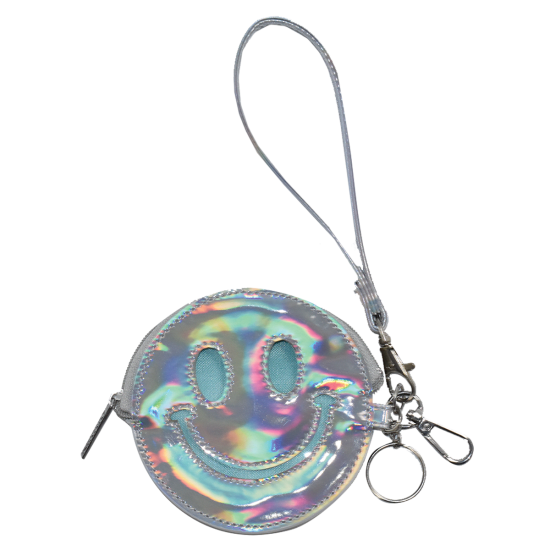 Our holographic happy face purse keychain is a tiny little holographic bag that packs a mighty versatile punch. 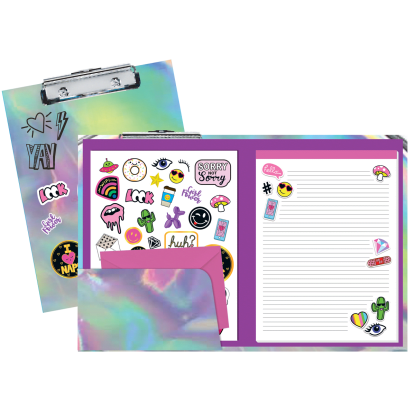 While it can only hold a few essentials (think lip gloss and cash), it comes with a removable wristlet strap, a key ring, and a clip, making it easy to wear alone or attach to a larger bag.